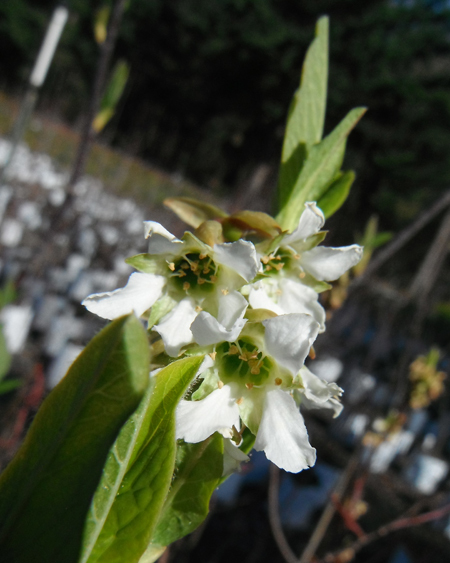 One of the earliest natives to leaf out and bloom each spring, Oso-berry is charming with its white flower clusters hanging from the tips of branches. Delightful among the still dormant maples and alders of its riparian haunts. It likes moist draws and creeksides, but grows in woodlands, and is common in cut-over sites. When both male and female plant are present, purple berries or 'plum' ripen in summer. Waxwings and robins eat the fruit, and Anna's hummingbirds use the nectar. 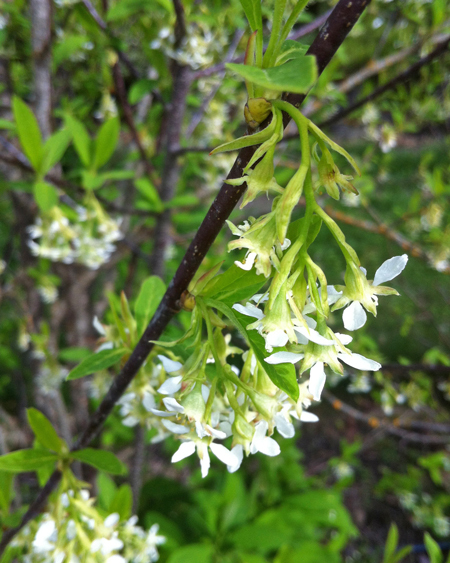 Allowed to grow into a thicket, Indian Plum provides cover and nesting sites. It is a valuable restoration plant. Use it along stream banks, in a woodland. Open, with arching branches Indian Plum will grow ten to twenty feet tall. Usually suckering, it is a superior shrub. Suckers can be removed to control spread--it suckers more freely in moist sites. Plants can be rejuvenated by cutting out the oldest stems to the ground or cutting all stems to the ground. 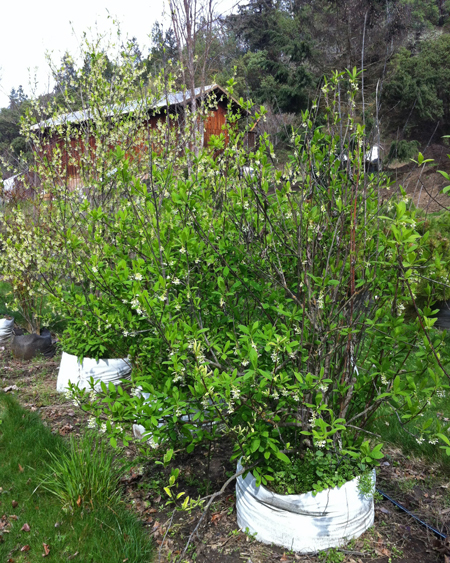 Adaptable, Osoberry prefers moist, well-drained, fertile soil in sun or partial shade. It will grow in clay.